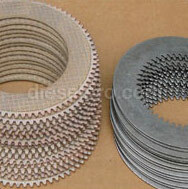 Whether you have plans to rebuild your entire Twin Disc MG509 engine on your own or you simply want to locate the best price on a specific component to hand to a mechanic for repair services, you may be wondering how you can find quality Twin Disc replacement parts for your needs. At Diesel Pro Power, we are the largest online retailer focusing on the sale of replacement engines parts, and you can rest assured that we have the best selection of Twin Disc MG509 marine transmissions parts and other related components for your needs. We understand how challenging it can be for you to find the right parts for your needs in stock and ready for you to purchase in local stores. Even some online retailers may not always carry the parts you need in stock. When you need to make a repair to your engine, or when you have plans to rebuild it, you simply do not want to spend days hunting down the parts you need or waiting for the retailer to restock. We carry all of the related parts for the Twin Disc MG509 in stock including gauges, seals, bearing kits and many other components. 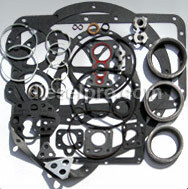 We also have a full rebuild kit available for you to purchase. Whether you need one part or several for your project, you can place your order today. 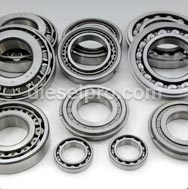 With just a few minutes of your time, you can easily locate the part you need and finalize your order. At Diesel Pro Power, we are able to ship our products to you within 24 hours, and we ship to locations around the world. 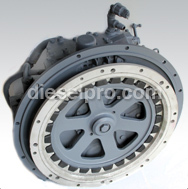 This means that we are your best resource for your Twin Disc MG509 replacement parts and any other engine parts you are shopping for today.